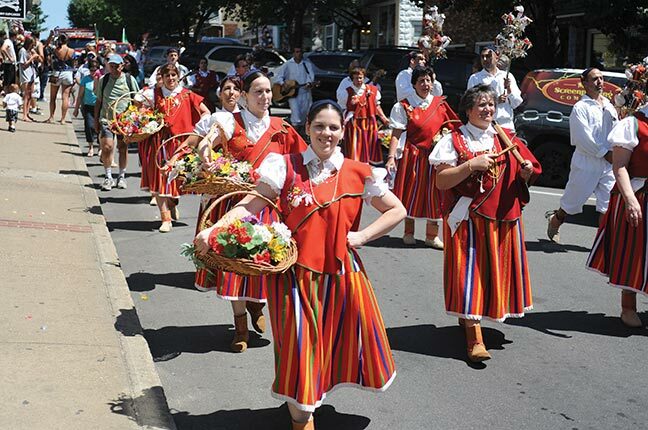 The Portuguese-American Feast of the Holy Ghost has come to mean great food, music, and fun. The party starts this Saturday at 5 pm and runs until closing time at the P-A Club in Oak Bluffs. 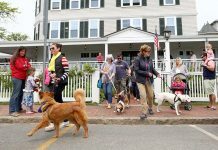 On Sunday it starts up again with the annual parade at 11 am (starts at the Oak Bluffs Steamship Authority and goes back to the P-A Club). For more information, call the club at 508-693-9875. Island Grown Initiative (IGI) would like you to check out the latest happenings at Thimble Farm at its next Community Farm Day, this coming Monday, July 22. From 4 to 6 pm, hear about IGI’s plans for its new property, enjoy light refreshments, and meet Keith Wilda, farm manager, and other IGI members and staff. The farm is located at 80 Stoney Hill Road in Vineyard Haven, accessible by Head of the Pond Road off Edgartown-Vineyard Haven Road in Oak Bluffs or Stoney Hill Rd. off State Road in West Tisbury. Offering everything from beach reads to DVDs, the Library Friends of Oak Bluffs hosts its annual book sale July 18–20 at the library. Hours are Thursday, 10 am to 7 pm; Friday, 10 am to 4 pm; and Saturday, 10 am to 2 pm. For more information, call 508-693-9433. From now until the end of August, the Harbor View Hotel in Edgartown hosts free live music events on its front porch. Shows will take place three nights a week from 5 to 7 pm. Monday nights feature the calypso-rock band Steel Breeze. On Wednesday nights, guitarist Arlen Roth performs, and on Fridays, Melanie Chaunce & Friends plays jazz and blues tunes. For more information, call 800-225-6005 or visit harbor-view.com. On Friday, July 19, the Katharine Cornell Theatre in Vineyard Haven hosts pianist Paul Thurlow, violinist and songwriter Nancy Jephcote, congo player Alejandro Carreñ;o, and others. Mr. Thurlow will play world jazz compositions that reflect Celtic, Baltic, and Latin styles. Ms. Jephcote will open the night with a set of her own songs, and will later accompany Mr. Thurlow on violin. The show begins at 8 pm, and admission is $10; free for children under 10. For more information, email Ms. Jephcote at njephcote@gmail.com. Next week, Island Theatre Workshop presents a two-man show starring Jonathan Monk as Heathcliff the Clown, a 68-year-old song and dance man from the golden age of entertainers, according to a press release. 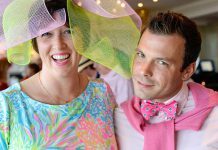 “This will be an evening of song and dance, failed magic tricks, surprising anecdotes, hyperventilating, vintage hair styles, and more,” continued the press release. The show runs Thursday through Monday, July 25–29, at 8 pm at the Grange Hall in West Tisbury. For more information, call 508-737-8550 or visit theheathcliffshow.com.